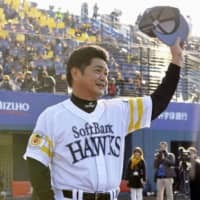 Kimiyasu Kudo, who this month managed the Fukuoka SoftBank Hawks to their third Japan Series victory in four years, won his third Matsutaro Shoriki Award on Tuesday. 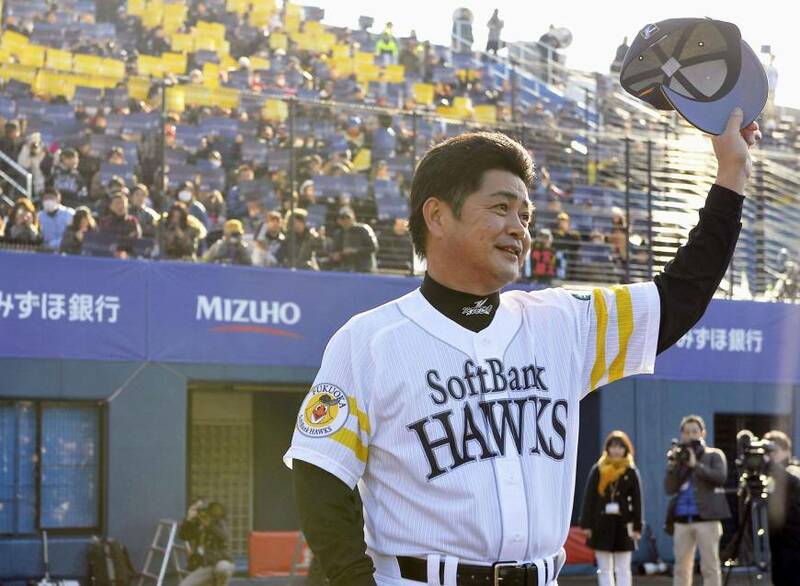 Kudo, who won the award in 1987 as a player, also won as Hawks manager in 2015. Hall of Fame slugger Sadaharu Oh, the award’s first recipient, has won four times. Yomiuri Giants manager Tatsunori Hara is the other three-time winner. With injuries to key stars, including closer and 2017 MVP Dennis Sarfate, and inconsistent starting pitching, the Hawks finished second in the Pacific League. But in the end, Kudo’s team stormed through the postseason to win the biggest prize. “Even though his team finished second, it was a great battle during the season as he moved those faltering starting pitchers,” said Oh, who is currently the Hawks’ chairman. The award is sponsored by The Yomiuri Shimbun and named after the newspaper’s former owner who founded Japan’s pro baseball establishment. It is meant to honor the greatest contributor to Japanese pro baseball during the year. Tokyo Yakult Swallows second baseman Tetsuto Yamada also received some attention after his third season in which he had 30-plus home runs and steals, while batting .300 or more. Yamada is the only player to have accomplished the feat more than once. “But his team didn’t win the pennant and didn’t win the Japan Series, so we’re left with the regular season, and there are other awards for that,” Oh said. Journalist Ryusho Kadota, who sits on the panel along with Oh, and Hall of Fame players Futoshi Nakanishi, Shigeru Sugishita and Koji Yamamoto, said a few things stood out for him in Kudo’s selection. Manager Ogata, whose team lost the Japan Series in five games, was praised by several committee members for revitalizing the Carp and growing the team’s talent base, but in the end, they said, winning is the bottom line. Twice in the past, special awards were presented, to Ichiro Suzuki of the Seattle Mariners in 2004 and Masahiro Tanaka of the Tohoku Rakuten Golden Eagles in 2013. But American League Rookie of the Year Shohei Ohtani was not considered for one. “The special awards are not part of our normal proceedings, and nobody suggested or mentioned Ohtani’s name,” Oh said.